Don't name your company after your town. Unless you live in a big area (Atlanta or San Francisco, for example), it's not a good idea to use your city in your business name. Sure, if Anyville is the only place where you'll be doing business, by all means, name your company Anyville Painting. But you might be overlooked by a potential client in Othertown who doesn't think you'd be willing to offer services in their area. If you'd like to expand into other cities and regions, you'll want a name that isn't specific to one place. Don't include your first name. Calling your business Bob's Painting Company is okay if you plan on staying small, but if you'd like to broaden your company's membership, you'll want to leave your first name out. Otherwise, homeowners will expect to meet with "Bob" for every project. For a growing company, this expectation simply isn't realistic. Don’t make it too hard to pronounce or remember. What's that one restaurant called, the one with the really weird name? Yeah, we can't remember it, either. It's often tempting to choose a name that's exotic or unusual in hopes that it might grab the public's attention. Unfortunately, not everyone will be able to come up with it later on when they're actually looking for painting services. It's best to come up with something relatively basic and easy to say. Choose something that's easy to spell. This goes hand-in-hand with the point above: If they can't spell it, they probably won't be able to find it. Think of a name that even your most illiterate friends and family can spell out ‒ in fact, test it out on them if you need to. Simplicity will make your company's name much more search-friendly online and in the phone book. Pick a name that already has a domain available. A creative, eye-catching name won't be worth much to you if it's already being used by someone else. Ensure that your name is original and will be easy to advertise by confirming that the domain for the name is not yet occupied. You can do this fairly quickly (and also experiment with name ideas) by visiting Bust a Name and using their 'Domain Search' tool. 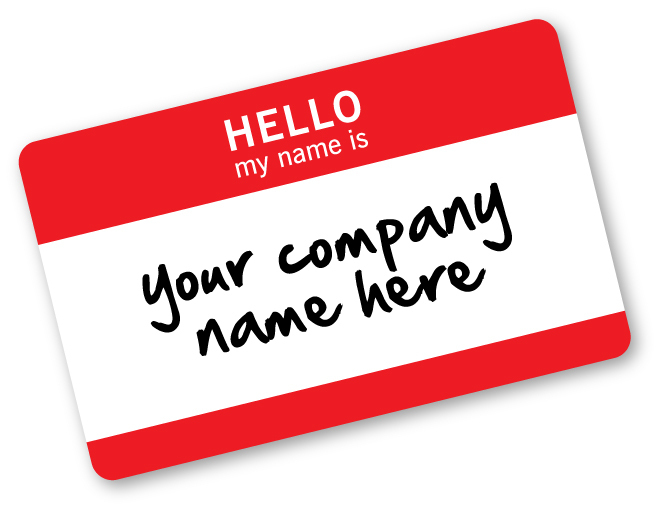 Sometimes, the best inspiration for naming a business comes from analyzing the names of other successful businesses. Visit this site for some examples of current painting companies whose name choices are right on the money.